Growing up in Texas, I hated it. If you watched the short, mediocre video I posted last week you know I’m really starting to miss it. Some of my favorite Texans have told me over the years how they hate Californians moving to their state because they buy cool old houses in historic neighborhoods, completely obliterate them, and build hideous McMansions in their place. Texas has a lot of things going for it, but awesome weather isn’t one of them (unless you compare it to a place like Wisconsin where it gets cold as hell). I’ll take 100-degree weather any day over a place where it’s below freezing in the winter. 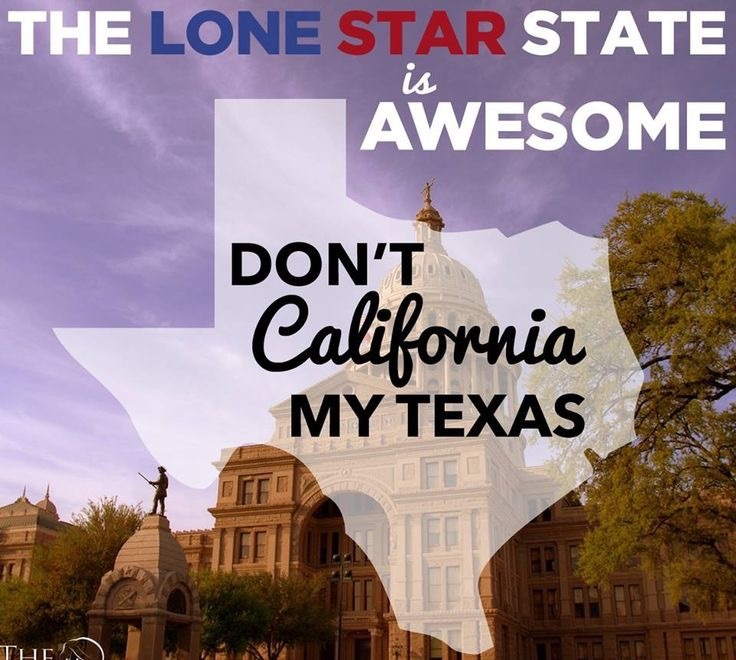 Don’t California my Texas. Bahahaha! The two things I love about California are the ocean and the weather (and by weather I am only talking the weather on the Southern California coast where it is pretty much 75 degrees and sunny year round). I would write a whole list of things I love about Texas, but you would probably be bored and not care or then move there, and I don’t want to responsible for your life decisions.